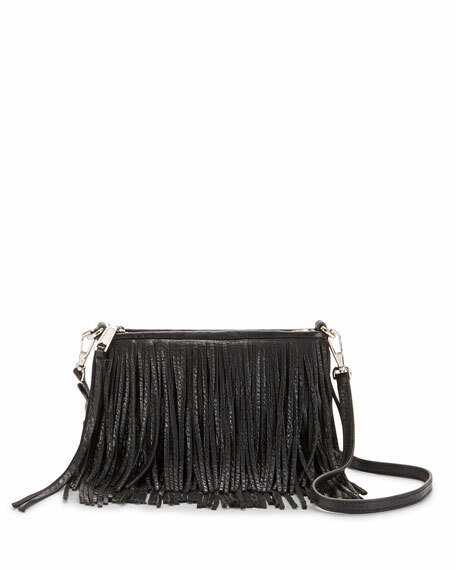 Rebecca Minkoff pebbled leather crossbody bag with swinging fringe. Adjustable strap can be removed, 22" drop. Interior welt pocket; cotton lining. Approx. 7"H x 11"W x 2"D.
For in-store inquiries, use sku #634008.